When the PEPLUM explosion died, Giovanni Cianfriglia continued in Eurospy action films, Spaghetti Westerns and working as a stuntman. Giovanni was also SUPERARGO, a super human spy/superhero/wrestler. 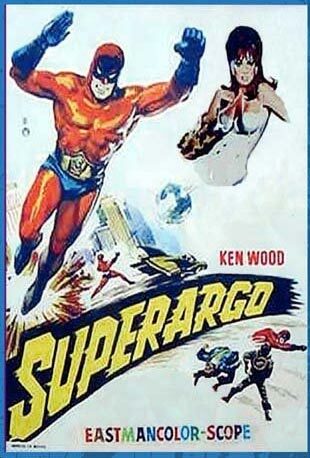 The catch with these movie: Superargo never took off his mask, which means we could never see his face but the physique is his for sure. SUPERARGO VS DIABOLICUS (directed by Nick Nostro, who directed the two 10 GLADIATORS sequels) is great fun.